The Health and Human Services Committee considered a proposal March 23 that would make changes to the state’s drug monitoring program. Heartwell Sen. John Kuehn, sponsor of LB223, said the bill would make technical and procedural changes to the law governing the state’s Prescription Drug Monitoring Program (PDMP) system, established in 2016 to enable prescribers and pharmacies to check for suspected abuse. Kuehn said the bill would continue to ensure successful implementation of the PDMP in Nebraska and further the program’s goals of improved patient safety and the promotion of information sharing and best practices among providers. Among other provisions, the bill would require individuals to be trained before accessing the PDMP. Training would be conducted by the Health Information Exchange. The bill would strengthen provisions requiring that information transmitted to the exchange meet Health Insurance and Portability and Accountability Act (HIPAA) standards. The bill also would allow members of a patient care team to access the PDMP on behalf of a prescriber. 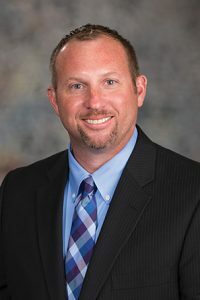 Kuehn said that stakeholders have continued to work on the bill’s language since its introduction, and a number of changes would be addressed in a coming amendment. Among those changes would be clarification of specific fields for veterinary controlled substance reporting and establishment of training requirements regarding proper use and legal responsibilities for individuals who might access the PDMP as members of a patient care team. 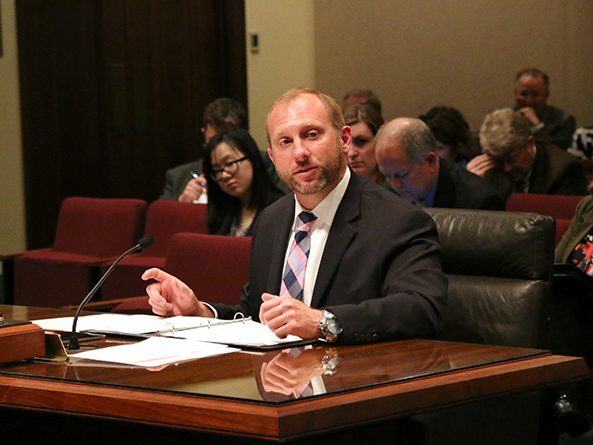 Joey Gaines, testifying on behalf of the Nebraska Veterinary Medical Association, supported the bill – in particular the proposed changes that would clarify language regarding veterinary reporting requirements. Gaines said the proposed amendment, which would delay implementation of veterinary reporting requirements, would allow time for a pilot program before all veterinarians in the state must begin reporting to the PDMP. “In order for the PDMP to work as it was intended it must work for all health care professionals who are dispensing prescription medications, which does include veterinarians,” Gaines said. Kevin Conway, testifying on behalf of the Nebraska Hospital Association, also supported the bill. He said the provision allowing a member of a patient care team to access data on behalf of a prescriber reflects the original intent of the PDMP and the modern team approach to health care provision. “Precluding members of a patient’s treatment team from accessing the medication records creates a flawed system that counters the intent of the [PDMP],” Conway said. Marcia Mueting of the Nebraska Pharmacists Association testified in opposition. While the association supports allowing qualified non-physician members access to the PDMP and the bill’s training requirements, she said the primary concern was allowing participants to have access to PDMP data through the Nebraska Health Information Initiative (NEHII) portal. NEHII participants include insurance companies and health care providers, Mueting said, and the association’s research indicates that no other state operating a PDMP has authorized access to insurers. The committee took no immediate action on LB223.